Tea Rose Home: Link Love No.7! Oh my... in the last link party, I had 99 entries!! Thank you so much for your participation! I was so excited to see all your projects and thoroughly enjoyed them, I hope everyone had fun too. There were so many beautiful and fun links I really had a hard time picking my favorites. I wish I could post all my favorites, but writing something about each of them and putting their pictures on my blog takes a long time to do, so I picked more than usual but, not nearly close to what I really wanted to post. If you aren't picked this time... please don't be discouraged; just keep coming back to the link party! This boutique flower tutorial was linked by Diamonds, Fur and Laundry. I love how the flowers look; so beautiful and grown up looking. I would love to make this for myself in the near future. Creations From My Heart showcases her one of a kind Vintage baby shoe pincushion. They are simply gorgeous pieces. 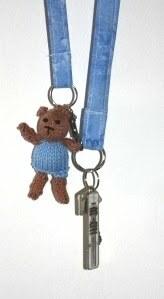 Husflit shared the cutest knitted teddy bear with key strap! I wish I could knit like her. 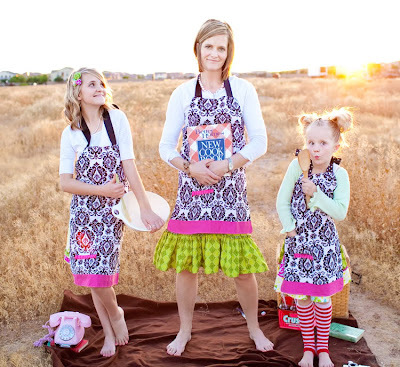 I want you guys to go and check out her beautiful blog and her pictuers! 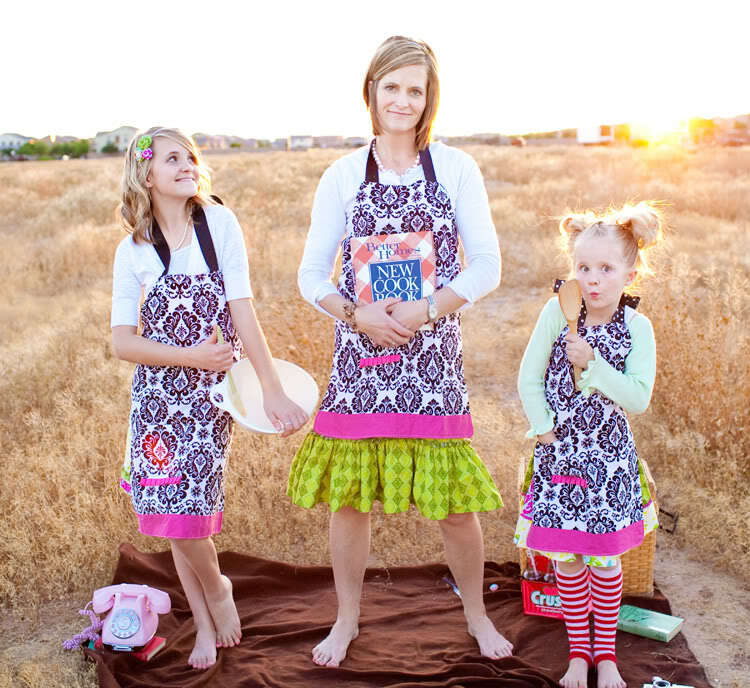 Amy Fraughton Photography the blog, shares Mother/Doughter Skirts & Aprons. Her pictues are so inviting and fun, you feel like you want to be there and join them. I had a hard time figuring out who is the mother and who are the daughters! Scraps & Scribbles shows us how to make stylish Anthoro-Inspired Ruffle tees. I saw these at a store a while ago, and I loved it (it was still the original price, so I had to part with it...) It is so fun to see how she made this gorgeous piece of clothing so easily. I just couldn't resist posting this Easy Bubble Dress by Polkanuts. 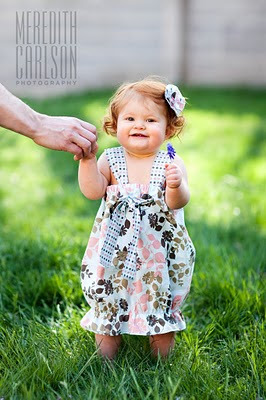 The little model is the cutest thing I have ever seen. I had to share this 6 Scoop T-shirt tutorial. Very colorful and fun t-shirts are pretty simple to make and the result is outstanding! Every little girl will fall in love with this! 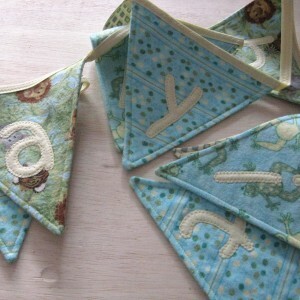 The last one is An Eco-Friendly Way to Celebrate or Decorate Banners. I have seen many banners made by many people. This one is very pretty and well made, looking at it made me wanna make one for my house too. Aren't they gorgeous? Do you wanna get up and start sewing? I do! How can I participate in the link party? I have few recipes on my blog that I would love to share. The link party is closed. I do one every Wednesday. Goto the end of the post and find the last link and follow the instructions. The Vintage baby shoe pincushion is just incredible! really a great job. I am looking forward to tomorrow--I have a fun new thing to share. Thanks for the inspiration and motivation. Great projects! I hope I can make it over this week to join up. Been following your blog. Reading your blog is like reading a book that you don't want to put down. Thanks for all the inspirations and ideas. Thank you for featuring my ice cream t-shirt! My name is Lidia Vecelic and I'm from Brazil. I seldom post comments. However, I was amazed with your criativity. I loved the ruffled T-shirts. I'm so excited about it that I bought the t-shirts and I intend to spend this Sunday afternoon working on the project. If turns out to be as gorgeous as yours, I might post a photo. Thanks for sharing such nice ideas.